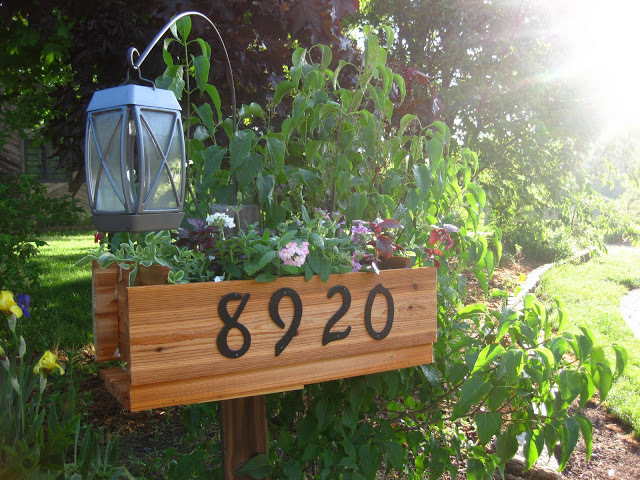 First impressions are lasting, so make your home’s appearance stand out from all the rest by creating a unique DIY address display. It’s an opportunity to add a little personality and color to the front of your house while marking it with important information. Time to get creative! Even in this time of the GPS, having your house number prominently displayed is how everyone from the post office and fire department to the kid who delivers the newspaper (you remember those) finds you. 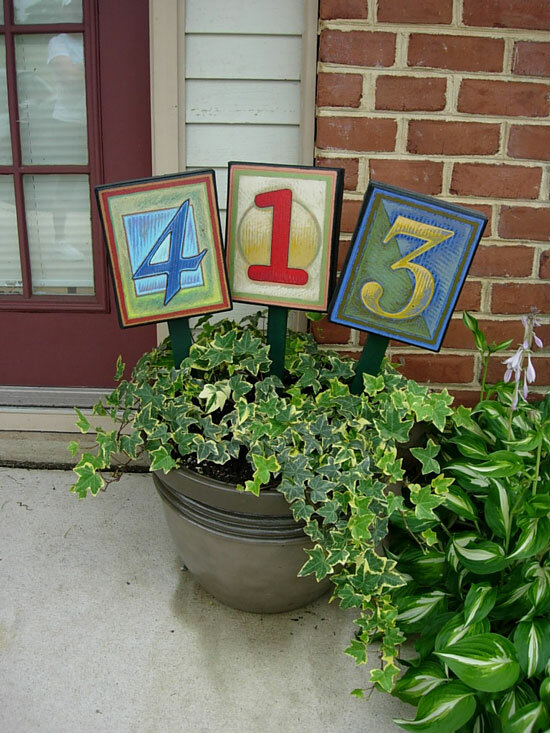 Traditionally located on or near the front door, today house numbers are displayed everywhere from planters to flag poles. They’ve evolved into personal expressions. Identification – They make it easy for the people to find your home (especially police and fire/rescue). Self-Expression – Show off your family’s interests or tastes with house numbers done in your team’s colors or favorite activities. Creative Statement – Many of us enjoy working on crafts so use your talents to make a unique display. 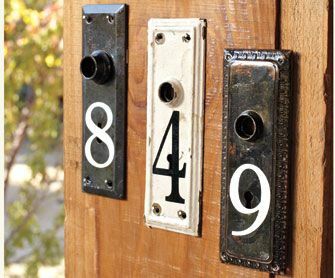 Finishing Touches – House numbers that match the style of your home (contemporary, craftsman, cottage) are small finishing touches that complete the look. Think of the front of your home as a blank canvas, what do you want to show the world? Take a photo of your front entrance and use your computer’s drawing program to sketch out your ideas. Maybe you want to add colorful accents or try out different locations for your house numbers, this will help you experiment. Rustic wooden display – Use recycled boards from wood pallets as the backdrop for your numbers. 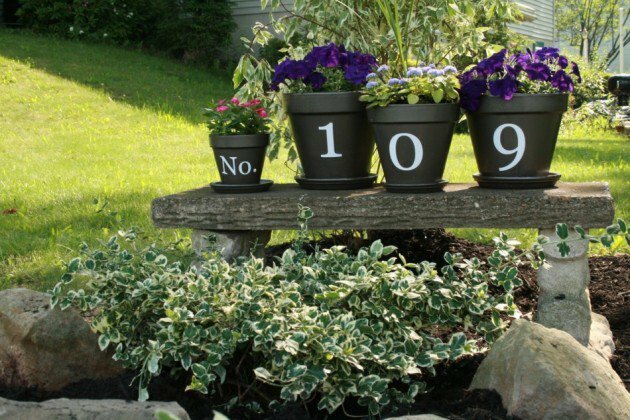 Flower pots – Create a row of colorful flower pots with one house number stenciled on each. You can add live or silk flowers to them. Upcycled doors or windows – An antique door or a small window can be painted and propped up against the front of your house or in the yard. Picture frames – Stencil the numbers on a board and frame it. Hang it from a ribbon on the door. Light fixtures – Paint house numbers on the side of a large lantern and mount it. Your guests will be able to see the address, even at night. Monograms – Large scale monogram letters (sold at most craft stores) with painted numbers can be attached to your house. 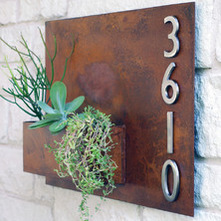 Planters – Paint numbers on large containers with colorful plants and place them at your entrance. Seasonal creations – Design an address plaque that allows you to change out the decorations with the season. A metal plate made from roof flashing will allow you to place seasonal magnets on your display. 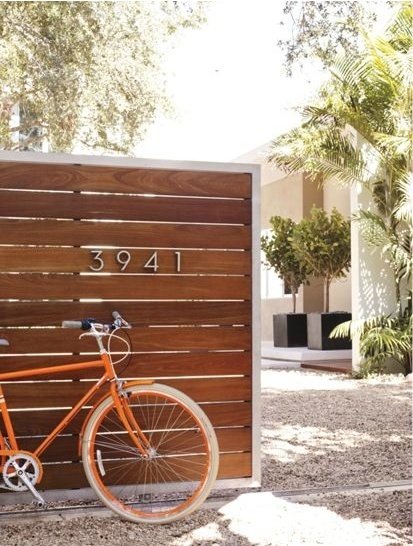 Many people have house numbers on their mailboxes at the street. Liven yours up by repainting the box and adding stylized numbers in a bright color. If your mailbox has seen better days, replace it. Read our blog, Replace Your Old, Damaged Mailbox in 5 Easy Steps for helpful tips on getting it done right. If impressions are lasting, be sure the one you make is a good one. Your home’s curb appeal could be the envy of the neighborhood – and functional at the same time. 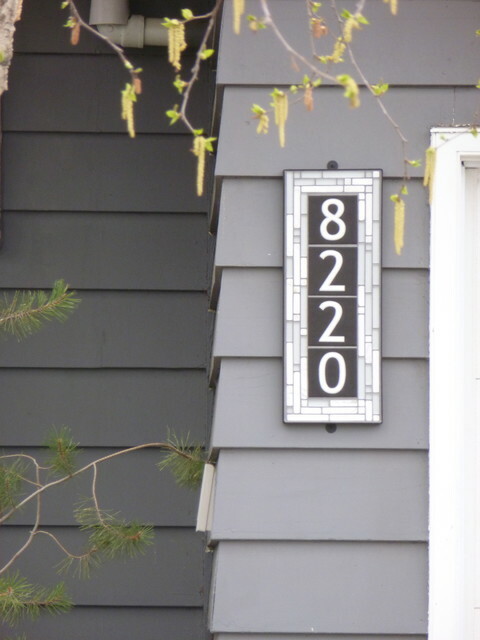 Make sure your address display is easy to read, placed where it can be seen and shows your unique style (you want to show off your handy work). From miter saws and circular saws to drills and orbital sanders our expert staff is always on hand to help with your next DIY home improvement project. As always, if you have any questions about pricing or how-to’s, don’t hesitate to contact us. Stop by our store — we’re open seven days a week.